They included me in the deck, so I am embedding it here. Look for me on Pages 16 & 17. 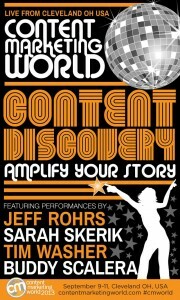 If you happen to be attending the event, I hope you come see me make my content marketing presentations. I’m really excited to be there and I’d welcome some friendly faces in the audience. Here’s my profile page on Content Marketing World. 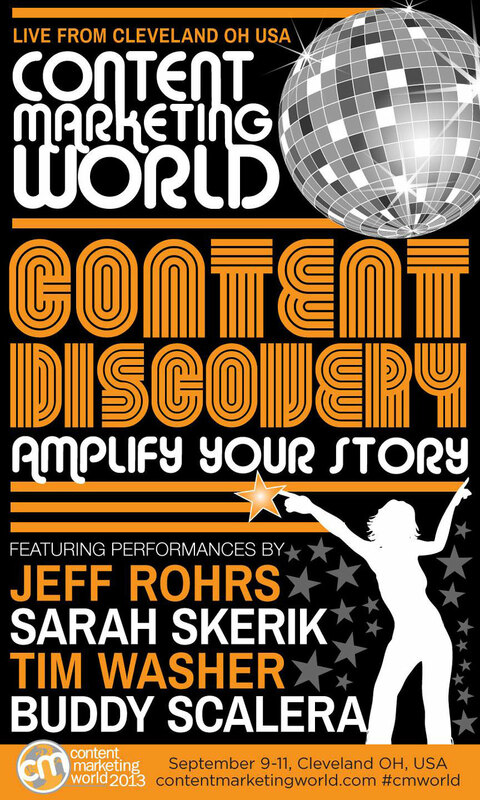 At the event, the hashtag is #cmworld. That should get us started, dontcha think? Hope to see you in Cleveland! This entry was posted in content, content strategy, Healthcare, Marketing, Powerpoint, presentations, Speaking and tagged Cleveland, CMW, CMWorld, content, content marketing, content strategy by Buddy_Scalera. Bookmark the permalink.